Yotie LOOOOVES the Trolls. He even has his own little sequinned t-shirt which we bought from the girls’ clothing section of the supermarket as we couldn’t find one in the “boys” aisle – and proudly wore it to school on a dress-as-you-like day, despite the girls in his class telling him that he was wearing girl’s clothes and upsetting him. 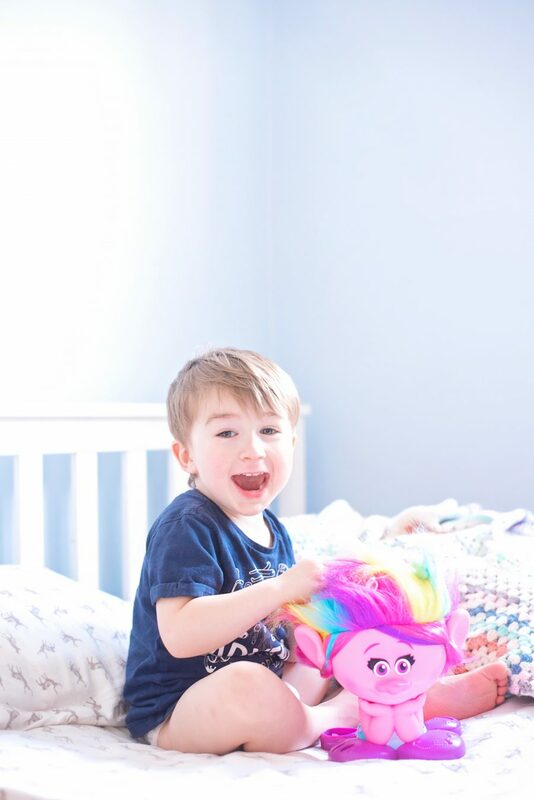 He just loves everything about them – the colour, the glitter, the singing and dancing. So when we were offered the chance to toy review the Trolls Poppy Style Station, I said yes without hesitation because I knew Yotie would adore it. 3 styling accessories – these are little plastic bands for ponytails. The set retails at around £28 online at the moment. The hair! 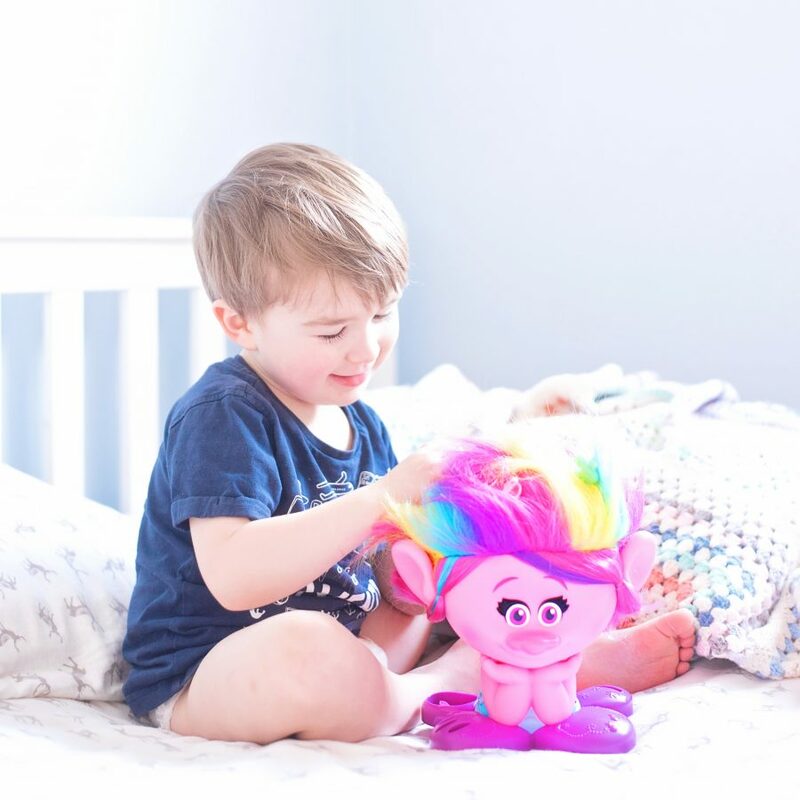 Poppy’s hair is rainbow coloured which isn’t exactly like her bright pink hair but much more fun. 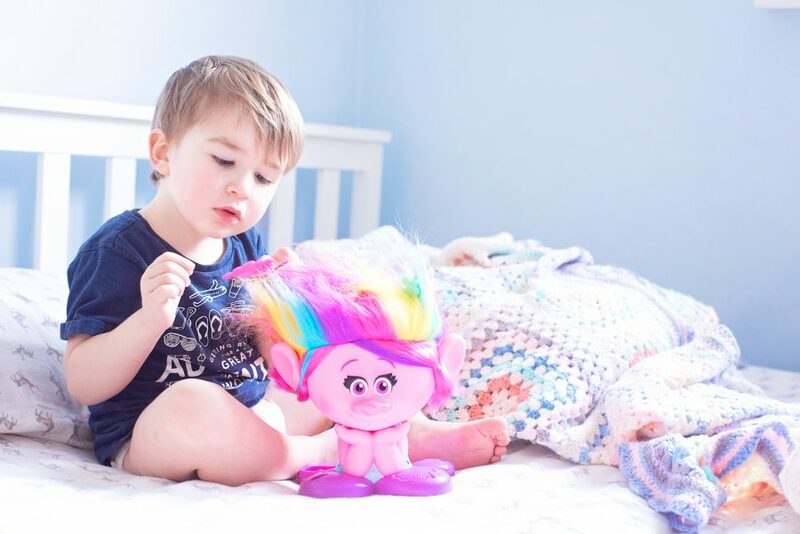 The hair is just like the trolls that I had when I was little. How exactly like Poppy the face is. We’ve had toys which look nothing like their characters, but Poppy is brilliantly made. How sturdy the head is. Hero was able to comb her without holding onto the base and without Poppy taking a tumble. 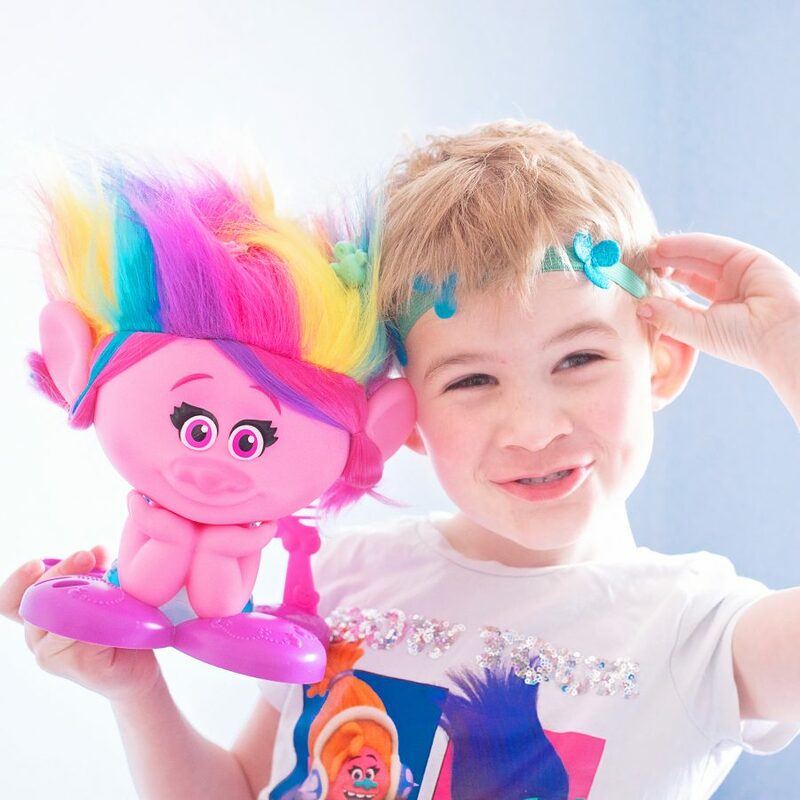 That the hair was a little less troll-like, or that there were more headbands in the set to decorate her hair with – like little velcro flowers or something, as it’s hard to do anything with it other than dig the clips in as it’s mainly just troll fluff. Not that the boys care, and the front pieces of hair are different and can be styled into plaits and things like that. 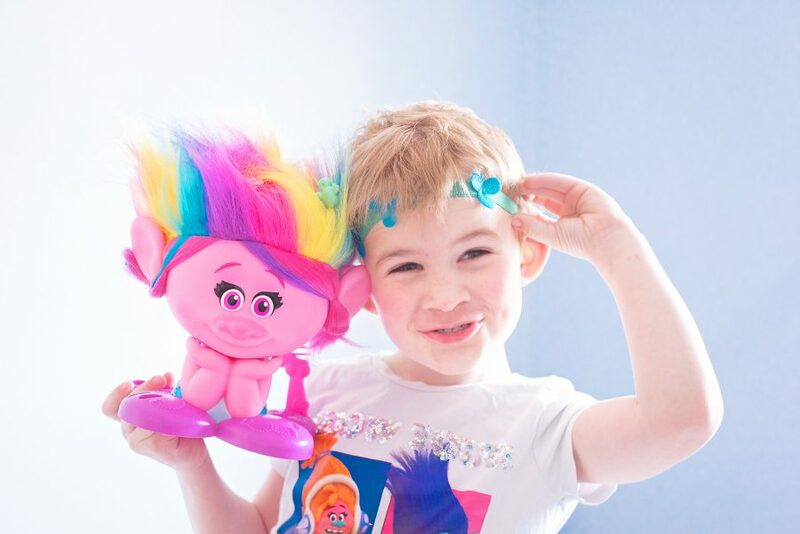 This is a great toy for Trolls fans like Yotie – the colours are amazing and fun, and it looks just like Poppy. 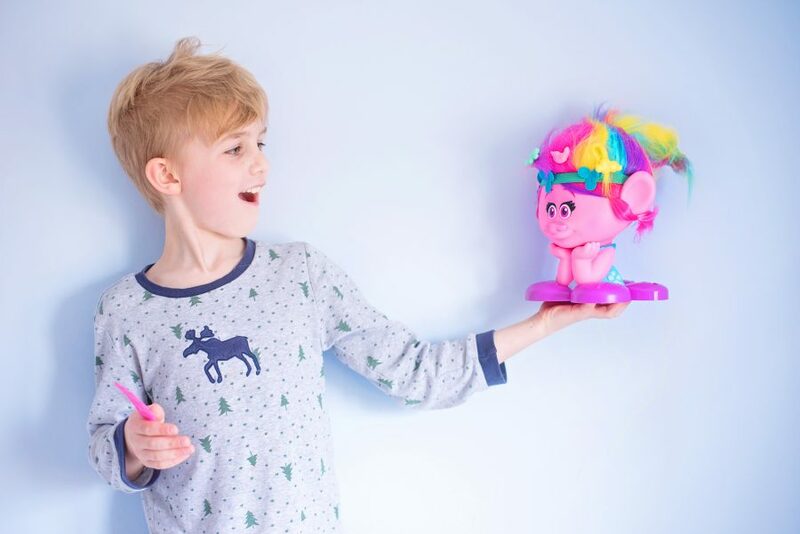 However, there’s not as much scope for styling with the troll hair as fluffy as it is in comparison to normal doll styling heads, but then it’s obvious when you see the toy that troll hair is what you’re getting! We love it. 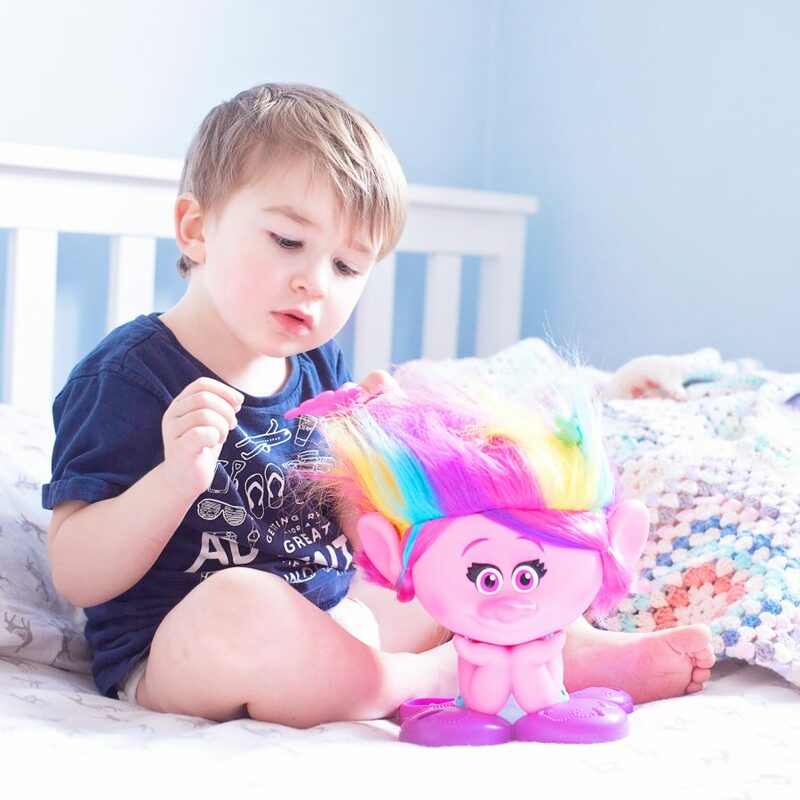 We received the Trolls Poppy Style Station in return for an honest review.